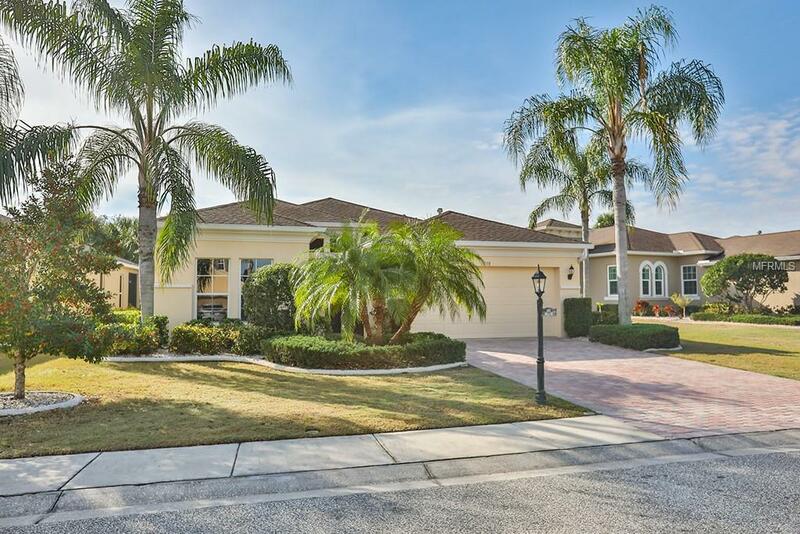 Captivating, Floridian style pool home, priced to sell & ready to Move-In! Enter your home by walking up acustom paved, lush walkway into a bright & open entrance & immediately lose yourself in the sparklingfountain pool & lush greenery which backs up to a stunning conservation pond for complete privacy. Enjoythe tiled, open floor plan & natural light which floods the rooms with joy & energy. Living areas flow into anupdated eat-in kitchen which boasts of SS appliances, tons of storage & a stunning view of the pool, patio &conservation foliage. Enjoy privacy whenever family or quests arrive as the spacious bedrooms have a splitfloor plan. Master bedroom is well appointed, elegant & comfortable with large organized closets & an ensuitebathroom, which is beautifully detailed & bright. The screened lanai is the gem of this home. Be theenvy of the neighborhood! Welcome all your friends & family to a beautiful & engaging true Floridianenvironment. Pool has fountains, lights & solar heating. There are over $60k in updates with this home, somany personal touches that you have to see to believe. Schedule your appt today, before someone claims thishome as theirs! Additional Lease Restrictions Verify With Hoa Or Listing Agents. Pet Restrictions 2 Pets Large Pets Ok.